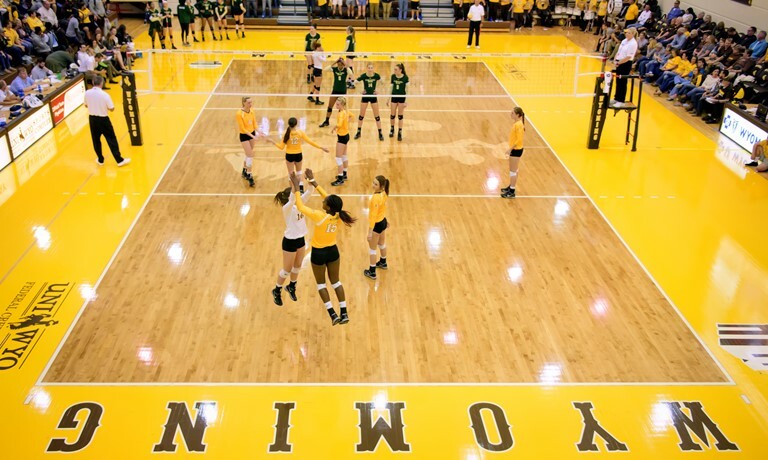 Wyoming has made an addition from the junior college level in defensive specialist/libero Kiahlei Yaste out of Sheridan College. Yaste will be a junior come the fall with two years left of play and is set to be immediately eligible for 2018. In her most recent season as a sophomore with Sheridan College, Yaste helped to lead her squad to a second-place finish in the Region IX Tournament. Individually as a OH/DS she logged 143 kills (1.15 per set) on a .122 hitting percentage, 288 digs (2.32 per set), 37 blocks (0.30 per set) and 21 aces (0.17 per set). Prior to that as a freshman she recorded 241 kills, 174 digs, 47 blocks and 19 aces. A 5’8″ native of Greeley, Colorado, Yaste attended University High School in her prep career. Wyoming finished the 2017 season at 17-14 overall and 12-6 as a member of the Mountain West Conference.